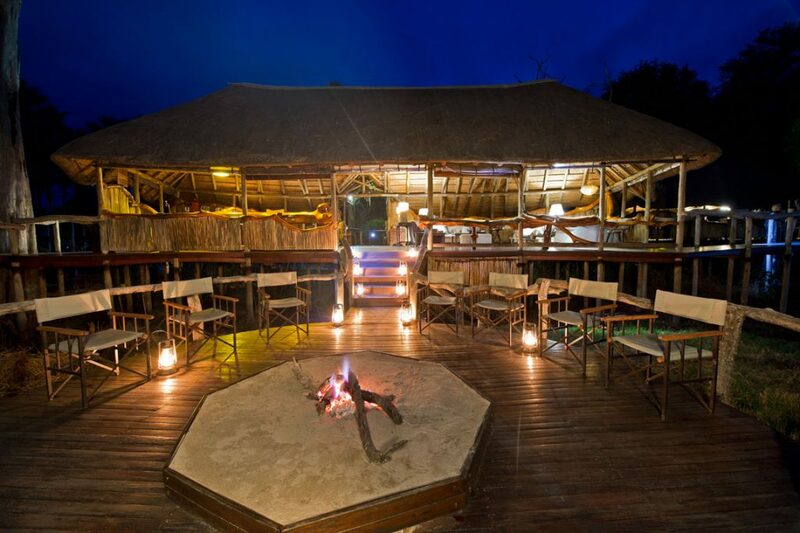 Chitabe is situated on a beautiful old tree-island in a prime location in the south-east of the Okavango Delta. 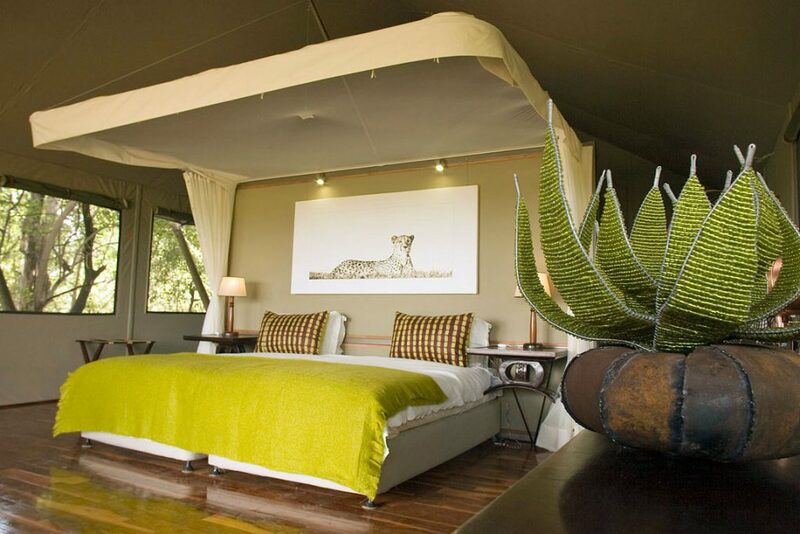 8spacious en-suite Meru-style tented rooms are built on elevated wooden decks, each tastefully styled with unique décor. 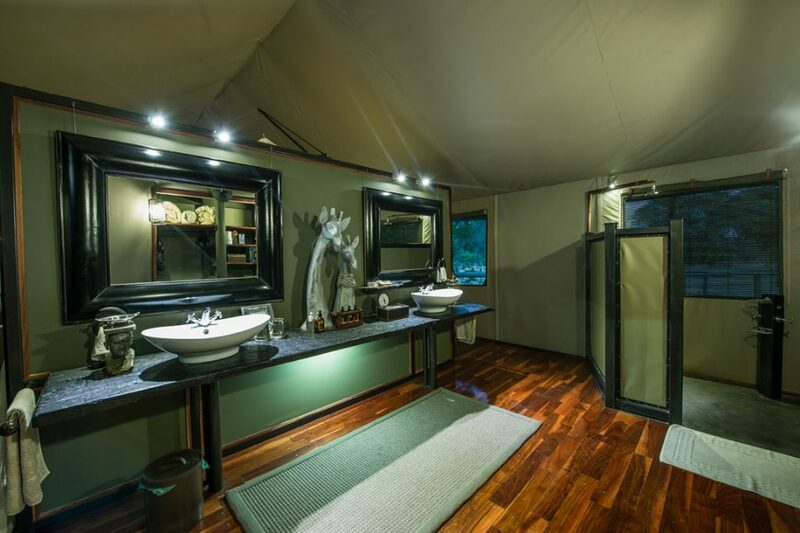 The spacious en-suite bathrooms include double vanity basins together with an indoor as well as outdoor shower. 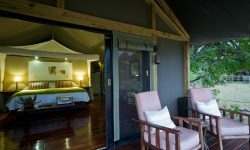 Elevated walkways connect the rooms to the main area. 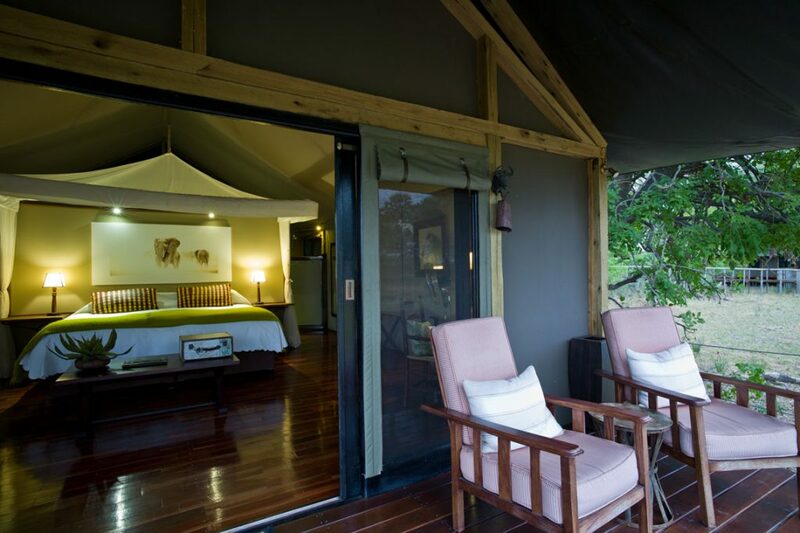 The central part of camp is made up of a thatched dining area and lounge leading onto open decking, all built on raised decks to provide superb views across a floodplain. 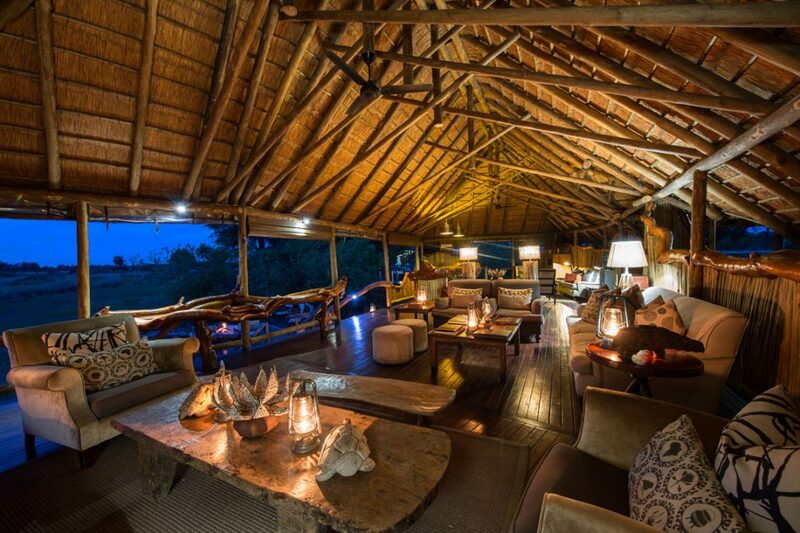 There is a pool that provides cool sanctuary in the heat of the day. 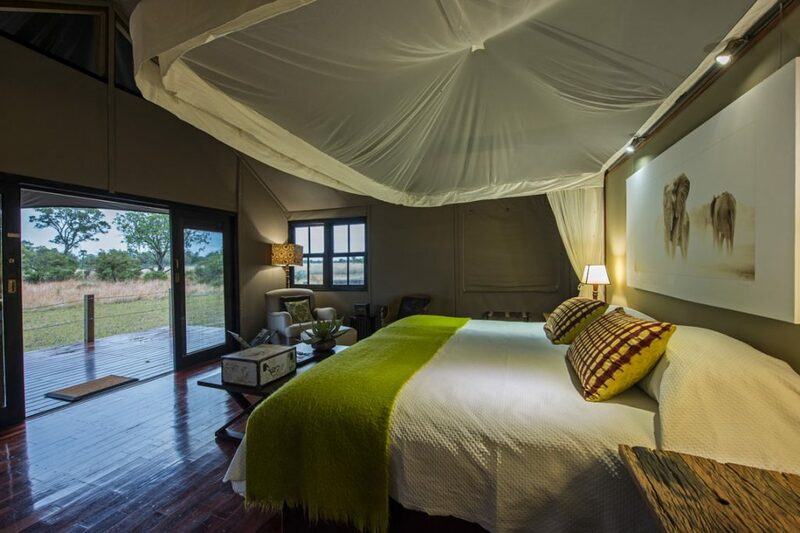 Activities include day and night game drives in open 4×4 vehicles, nature walks (depending on qualified guide availability) and spectacular birding through a diverse array of habitats. 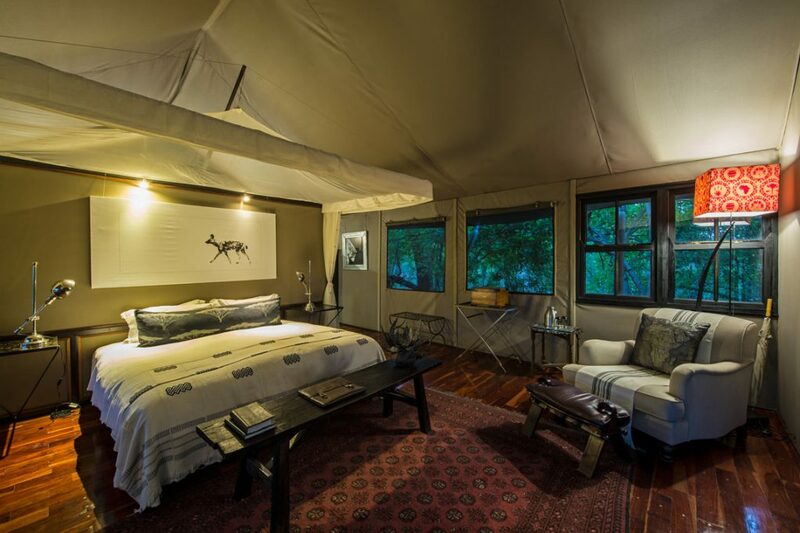 Owing to its location on the periphery of the Delta, Chitabe offers exciting year-round game viewing. Children of 9 years and above are welcome. Food and meal times can be adapted to suit younger guests. 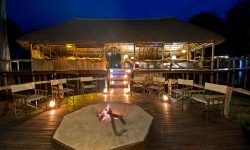 The thatched dining area, pub and lounge area are built on raised decks to provide superb views across the Okavango Delta floodplain, and a pool allows guests to cool off on hot days. 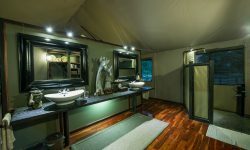 There is also a hide for ‘secret’ game viewing. 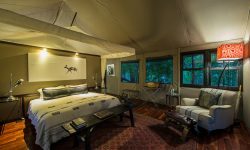 Safaris at Chitabe Camp include day and night game drives in open 4×4 vehicles, nature walks and spectacular bird-watching. 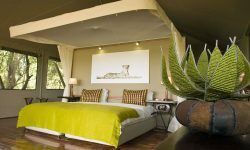 Chitabe Camp had diverse wildlife around which can be seen, including elephant, buffalo, lion, leopard, cheetah, giraffe, zebra, tsessebe, impala and, occasionally, wild dogs. 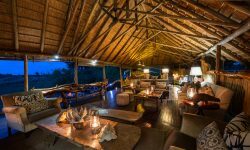 Night drives also provide opportunities for guests to see nocturnal mammals such as civet, serval, genet, porcupine and aardwolf.